Hi there, my name is Teija, woman behind the Moodphoto. 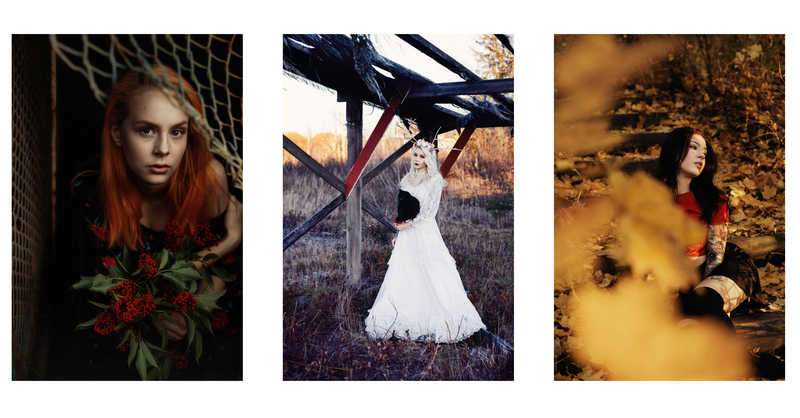 I am a creative portrait, fashion and wedding photographer from Forssa, Finland. My favourite style of work tends to be a blend of vintage and retro, mixed with a dash of romance. I love to create images that are moody and filled with beautiful natural light, telling the story of my subject. A hint of old Hollywood glamour mixed with a hint of dreamy whimsical. At times I also enjoy experimenting with a bit of a darker side, particularly for themed or conceptual portraits.